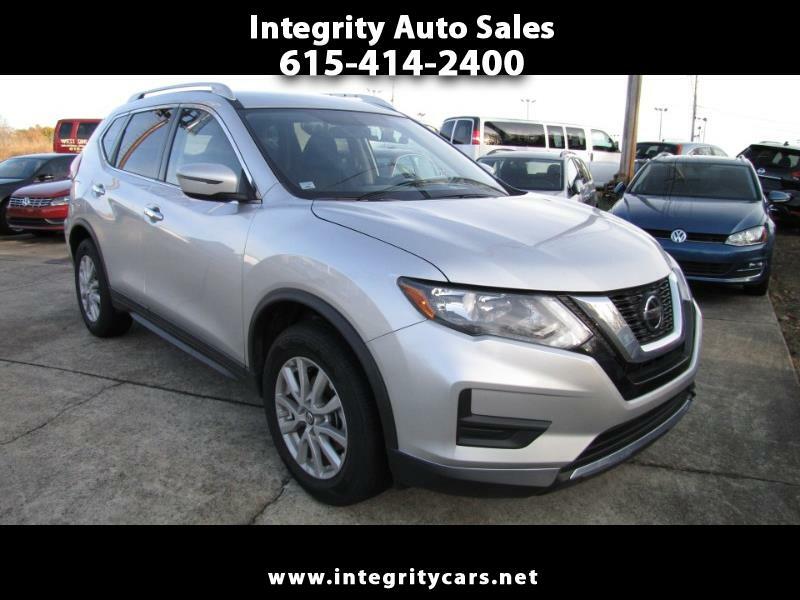 ***Very Pretty Silver 2018 Nissan Rogue SV with only 13k miles. Power Heated Seats, Power Rear Gate, Push Button Start. Was a one owner lease vehicle by Farm Buro and it is nice! Like New! So much good stuff in it like: Back -up Camera, Remote Engine Start, NissanConnect featuring Apple, CarPlay, Android Auto, 7" Color display w multi touch control, Sirus Xm Satellite Radio, BlueTooth, Hands Free Phone System, Streaming Audio via BlueTooth, Hands-free Txt Messaging assist, Blind Spot Warning, Brake Assist, Automatic Emergency Braking, Rear Cross Traffic Alert, VDC, TCS, EBD, Look, there are to many things to mention. Like New! Very Clean and in Perfect Condition. Under Full Factory Warranty. Come and see or call 615-414-2400 Have a great day! Description: Under Full Factory Warranty!